Overview: Help us celebrate Spring at our On-Road Open House & Demo Day. >> $1000 OFF Spyders - PLUS manufacturer incentive! Sale Valid Friday, April 26th & Saturday, April 27th ONLY. • LUNCH! Grilled hot dogs, sausages, and drinks. YUM! Take a test drive on a Spyder or Ryker to be entered to win one of our prizes. Everyone who buys a unit, part, accessory or other purchase that day will be entered to win one of our prizes too! CENTRAL MOUNTAINS ATV ASSOCIATION will be set up to sell their raffle tickets at our open house. 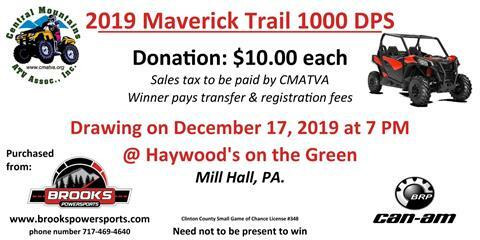 >>> Win a 2019 Maverick Trail 1000 DPS. Drawing on December 17th @7pm. Need not to be present to win. 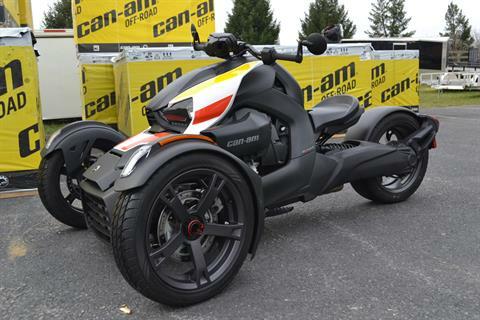 Overview: On Friday, May 10th, Brooks PowerSports will give one lucky winner a Ride Of A Lifetime! 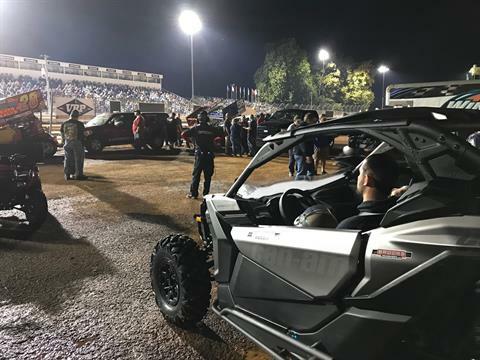 One winner will have the opportunity to ride around the Williams Grove Speedway in a Maverick X3. Keep an eye out for the contest to begin. The driver - TBD. Williams Grove Speedway will feature the Lawrence Chevrolet 410 Sprint Cars and the HJ Towing & Recovery 358 Sprints. The 410 Sprints will utilize the World of Outlaws format. General Admission: $17, $10 (Ages 13-20), Ages 12 and under are always FREE! Overview: Raffle to support the Central Mountains ATV Association. Win a 2019 Maverick Trail 1000 DPS. Drawing on December 17th @7pm. Stop in to buy your tickets or contact a CMATVA member for tickets.